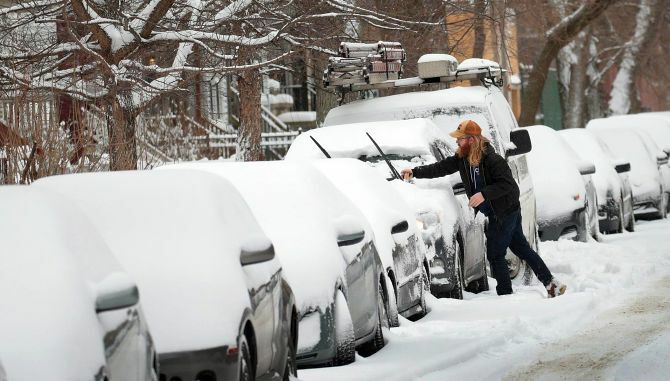 Home > FOREIGN NEWS > Deadly deep freeze Weather: states of emergency declared in the US. Chicago is one of the cities in the epicenter of the extreme cold. The river winding through downtown Chicago has already frozen over. It could remain below zero in the city from around noon on Tuesday until around midday on Friday. 22-year-old Ali Alfred Gombo didn’t have keys to the home and was unable to enter after being dropped off outside early Sunday morning. The single-digit temperatures that dipped below zero may have played a role in his death, according to Rochester police.